Base yourself at The Portage and experience a little taste of everything Marlborough has to offer. 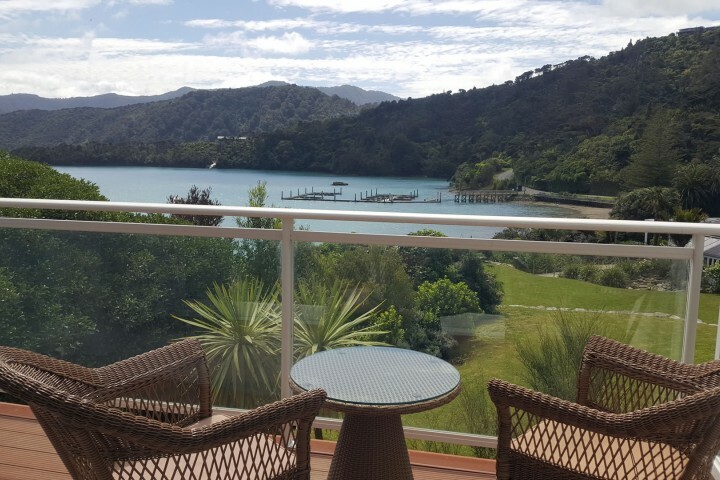 The Portage is an ideal 1 to 2 night stay hotel from where you can enjoy winery tours from Picton; cruising the Marlborough Sounds; walking or cycling New Zealand’s famous Queen Charlotte Track; wildlife eco-tours; sea kayaking; and fishing and sailing on Kenepuru Sound. Tell us your favourite adventure activity when you make a reservation and we'll arrange it for you as we hire in the equipment and guides from Picton. Advance bookings preferred. The property is set amongst a rustic landscape of native plants with an abundance of birdlife to be seen as you submerge yourself into the nature. Relax, unwind and switch off from the rest of the world and enjoy being in a remote part of the Sounds, turn off your phone and simply enjoy your surroundings. Food options range from the slightly more formal setting of The Portage Restaurant & Bar to the laid-back Snapper Bar and Eatery on the beach-front. 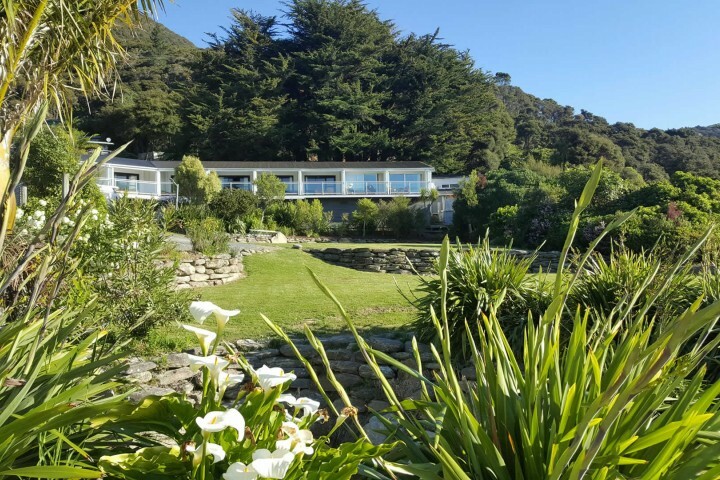 Both venues offer an alfresco dining option and have spectacular views of the famous sunken valleys and lush rainforests of the Marlborough Sounds. 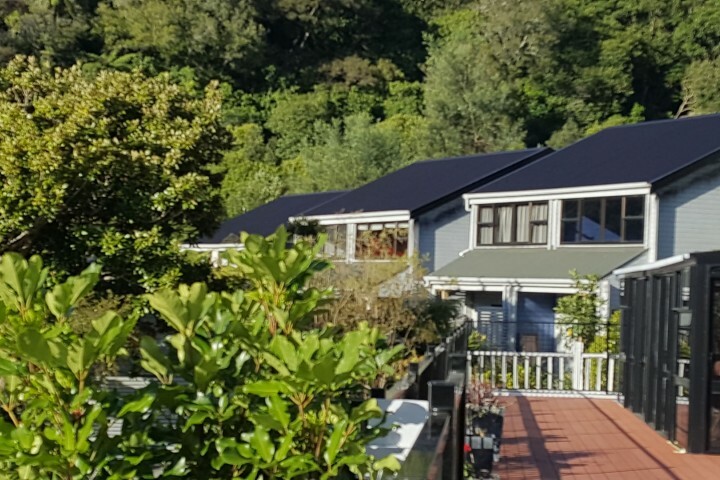 Located 10 minutes walk from the acclaimed Queen Charlotte Track, The Portage offers several accommodation options including the premium Tui and Kereru Suites; the two-room elevated Korimako Suites; and the cosy Weka Rooms. The Portage hotel's central location in Marlborough makes it an easy reach from all over New Zealand - being 15 minutes from Picton by ferry or 1.25 hours by road. Blenheim Airport has multiple flights from the major cities of Auckland, Wellington and Christchurch every day and is a 25 minute road trip from Picton. The Portage is your Marlborough accommodation base to explore the magic of the Marlborough Sounds at the top of the south island of New Zealand. We have three dining areas for you to enjoy - The Portage Restaurant & Bar; the Cafe & Lounge Bar; and the Snapper Bar & Eatery. We look forward to sharing our new menus and beverage options with you soon - talk to our staff about breakfast options, lunch packs and Frank's famous treats! The Portage is an ideal place to base yourself to discover Marlborough and the Sounds. 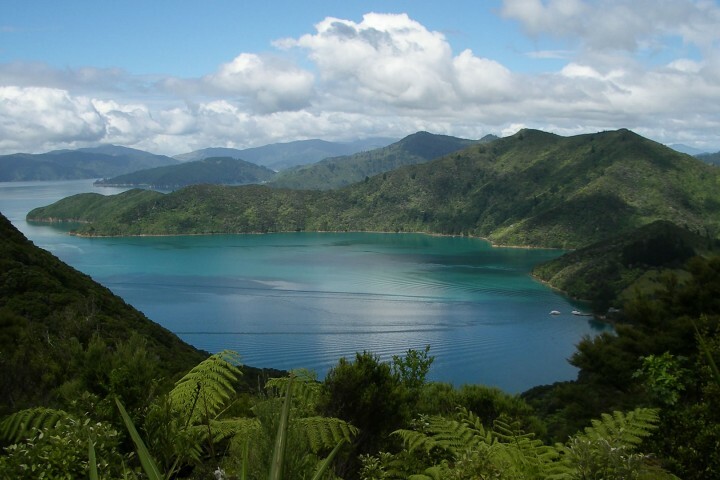 Explore the local area, relax at the hotel, hike or cycle the Queen Charlotte Track; or cruise the local waterways. The Portage hotel's central location in Marlborough makes it an easy reach from all over New Zealand. Access is easy – only 15 minutes from Picton by ferry or 1.25 hours by road. Blenheim Airport has multiple flights from the major cities of Auckland, Wellington and Christchurch every day. Luggage transfers available by water-taxi. The Portage Restaurant; Cafe & Lounge Bar; (The Snapper Bar & Eatery opening early 2019). We offer a full coin-operated laundry facility.